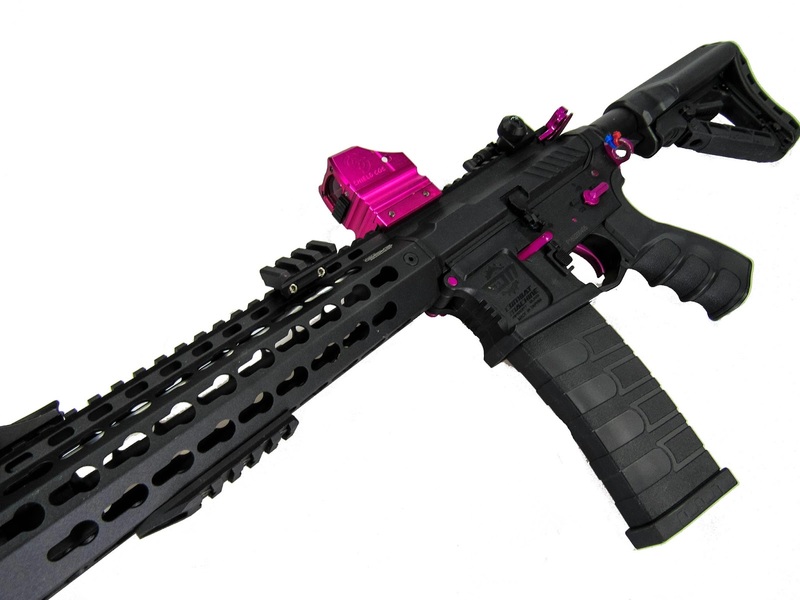 G&G CUSTOM CM16 SRL - THE BLACK ROSE VERSION 2! So earlier this month, the team at G&G made me an extremely happy bunny indeed! A few months after I started Femme Fatale Airsoft I remember seeing this gun on one of my now dear female friends in the industry, Unicorn Leah's Instagram page and I instantly fell in love. The only problem was, there was only one of these in the world so the dream pretty much died there and then. 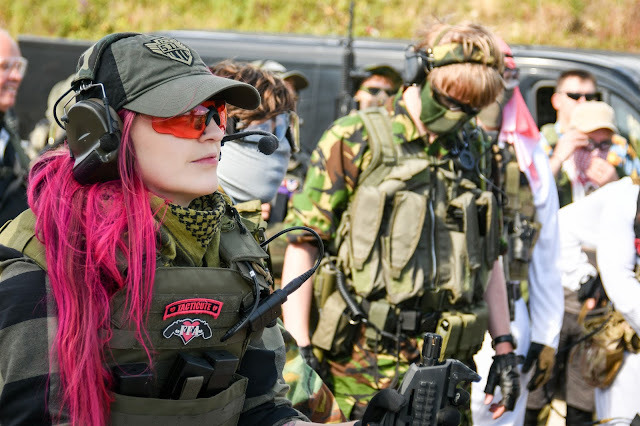 Until a care package arrived at my sponsors, JD Airsoft with her sister gun and lots of other G&G swag, as you can imagine, lots of girly squeals followed. 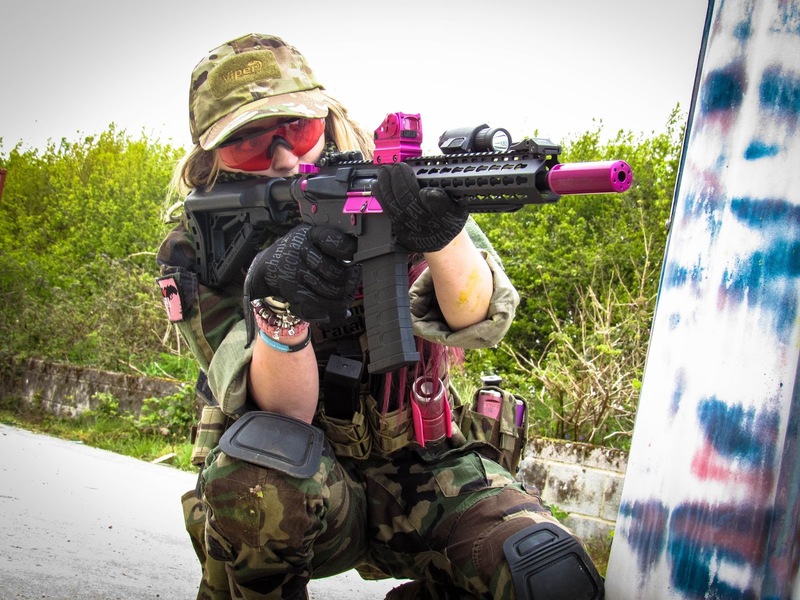 G&G are well known for their combat machine M4, especially in regards to performance, reliability and affordability, and have become a recommended gun for beginner to intermediate players however in 2015 the combat machines have undergone a serious upgrade. The Black Rose Version 2 is a custom CM16 SRL AEG made by G&G Armament, it has a very sturdy polymer receiver and a CNC'd full metal keymod rail system in the Black Rose black/anodised pink colour scheme. The total length of the rifle is 810mm and is extremely lightweight at just under 2.3kg total weight with no attachments. It features a 6.08mm aluminium inner barrel, a 1800rpm motor, 8mm brass bushings and an all new electronic trigger system with a programmable MOSFET which incorporates the 3 round burst. It has a 6 position crane stock too which has plenty of space to house the battery and it has a decent sized rubber buttplate for comfortable shouldering of the weapon. I love how lightweight this gun is, it is super light and easy to maneuver even though it is bigger than my typical CQB weapons. One of my favourite things about this is the programmable MOSFET as it enables you to access the 3 round burst - which is really fun to play with! Something that threw me with this gun was that it didn't work with a 7.4 Lipo - cue almost heart attack when I pulled the trigger and nothing happened! The MOSFET in my custom Black Rose version 2 requires an 11.1 Lipo. It also comes with a set of metal flip up ironsights which are easily detachable if you aren't feeling them. The pistol grip is another functional feature of the RIF that I really like - it's ergonomic as it has the grooves for your fingers to sit comfortably. 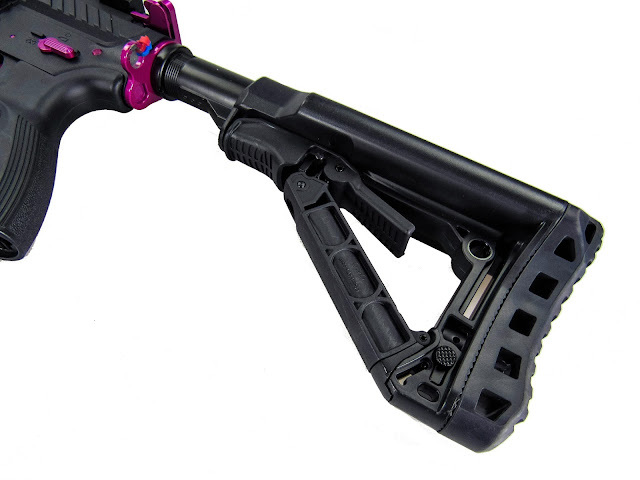 The pistol grip also has a metal end plate that helps dissipate heat from the motor and allows for motor adjustment. As far as FPS goes, it sat comfortable around the 330 FPS mark on 0.2g 6mm BBs. 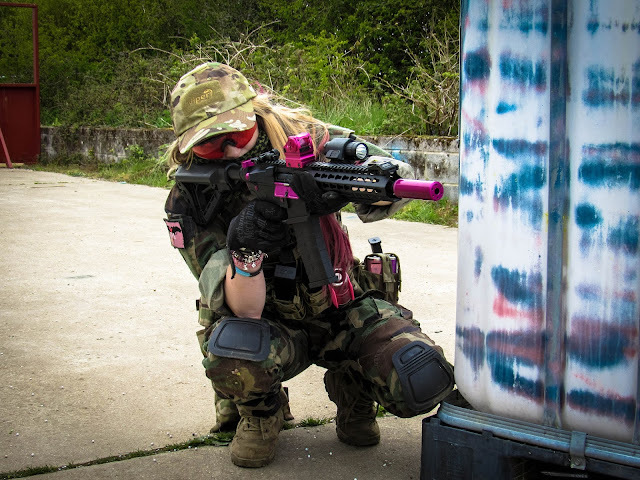 The first 'Black Rose' - G&G GR4 G26 was my second Airsoft gun and I LOVED it! *insert heart eye emoji* but it had a very bulky front end, which although was very spacious to keep the battery in, it was an ordeal to access. 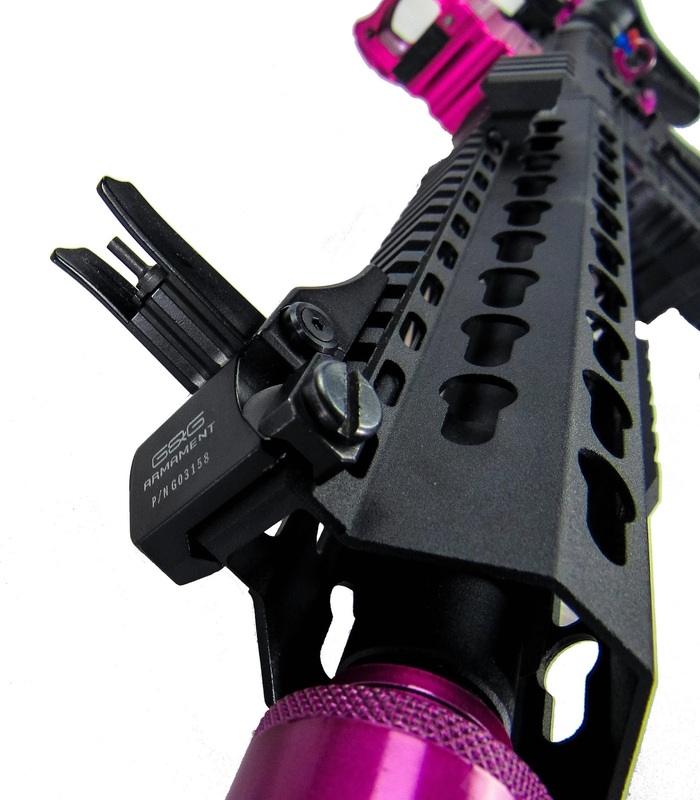 I am in love with the look of the Black Rose version 2, the keymod rail system is a massive improvement on the handguard of its predecessor and as any Airsoft keymod rail accessory can easily bolt onto the rail, it doesn't just look good, it's extremely functional! I am also really keen on the new polymer body and its artwork - G&G have certainly upped the game with the new details that sets this particular M4 weapon system apart from the scores and scores of Airsoft M4s out there. The pink is what I would call subtle - only featuring on the charging handle, sling attachment point, dust cover, fire selector, ambidextrous mag release and the Femme Fatale silencer but it still makes the gun stand out from the crowd. The Femme Fatale Silencer on this particular gun has replaced the birdcage flash hider on the original CM16 SRL (which even has the threads to attach a quick detach suppressor!) 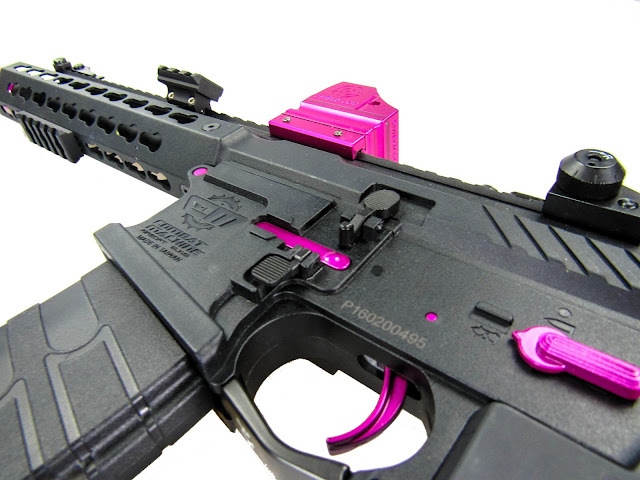 and it really adds to the look of the rifle. I was really pleasantly surprised with the performance, having tried this bad boy out in both CQB and Urban game environments I feel I can safely say that it is definitely a fab all rounder! I am pretty impressed with the range the stock internals give and the ROF is good at 19 rounds per second on the 11.1 Lipo. Overall, I am so impressed with this RIF. 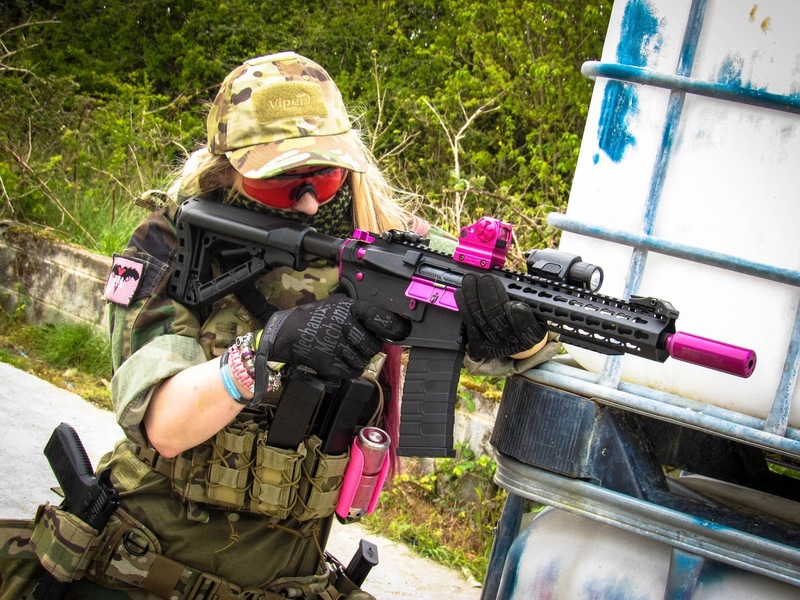 From the aesthetics to the performance, I have always held G&G in high regards to their quality, reliability, affordability and performance even for their beginner ranges but this CM16 SRL with all the new upgrades has definitely solidified this. This definitely gets the seal of approval from myself, good work G&G and thank you for sending this awesome piece of kit! I loved it!! I found your blog looking for this AEG, I'm from Brazil and really want to find a way to import one of this ... Thanks about the review. Cloud 9 Combat Ring Pull Smoke Grenade Review!